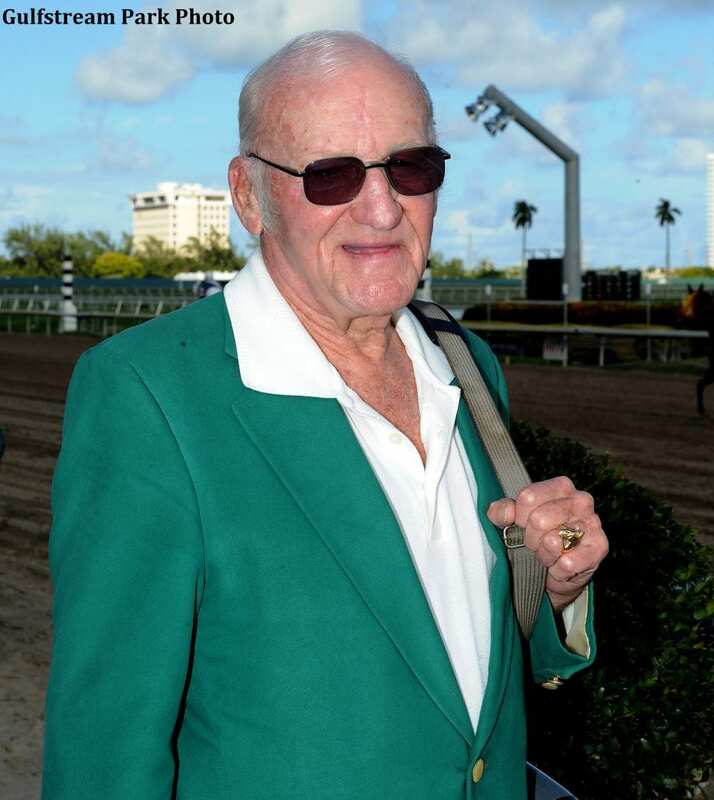 Trainer George Handy, 92, saddled a pair of winners on Sunday's program at Gulfstream Park West, continuing a winning tradition that began nearly 70 years ago. The veteran trainer, who saddled his first winner in 1946, visited the winner's circle with Kimchi's Strike ($5.40), who captured the fifth race by a half length, and Storm Warnings ($14.80), who earned a victory by a length in the seventh race. Both winners are owned by longtime client Barbara Ann McDonnell. Kimchi's Strike and Storm Warnings make up the bulk of Handy's small Gulfstream Park-based stable. This entry was posted in People and tagged Calder Race Course, florida racing, george handy, gulfstream park west, Horse Racing, thoroughbred by Press Release. Bookmark the permalink.